The Great Mall uses Landport to manage and track work orders across a huge space and among high visitor numbers, with visibly increased efficiency. 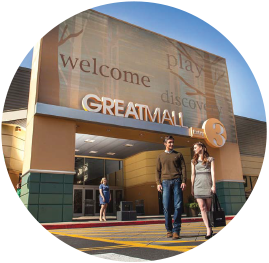 The Great Mall in Milpitas, CA is approximately 1.3 million sq ft GLA on 100 acres. With average annual customer visits equal to Disneyland’s, an efficient system for maintenance work order assignments, tracking, and management is a must. However, the mall issued work orders by printing and assigning tasks, resulting in lost work orders and lengthy maintenance lead time. Communication was breaking down between management and staff and frustration was high. After implementing the Landport system, communication between the assignee and the maintenance staff drastically improved because mall management was able to assign work orders and track them from open to close. Paper wasn’t lost and productivity and accountability increased exponentially--along with the happiness of the staff . Your work order system helps the mall’s operations greatly by allowing for a means to track work orders from open to close. There are hundreds of reasons I think I could say why I like it.